The Beel coffee table is a sober Nordic cabinet that impresses with its brightness, finishes and unique result. 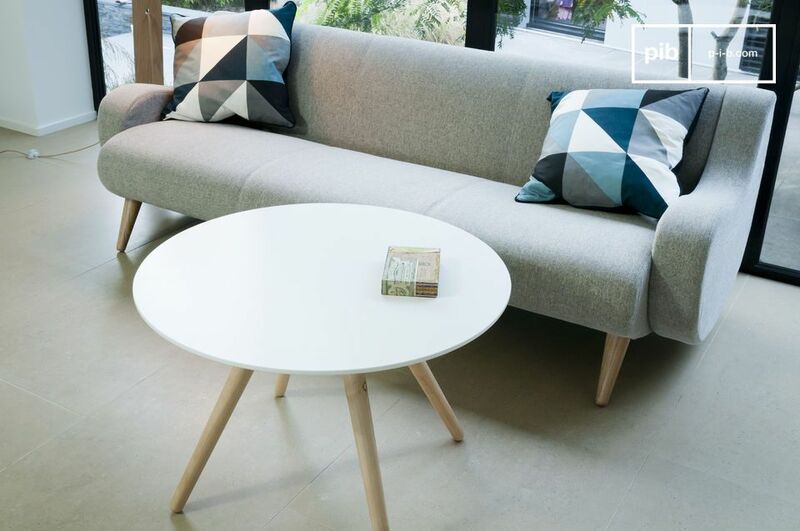 Made of wood particles, the top of the Beel coffee table, 75 cm in diameter, has a superb white color. 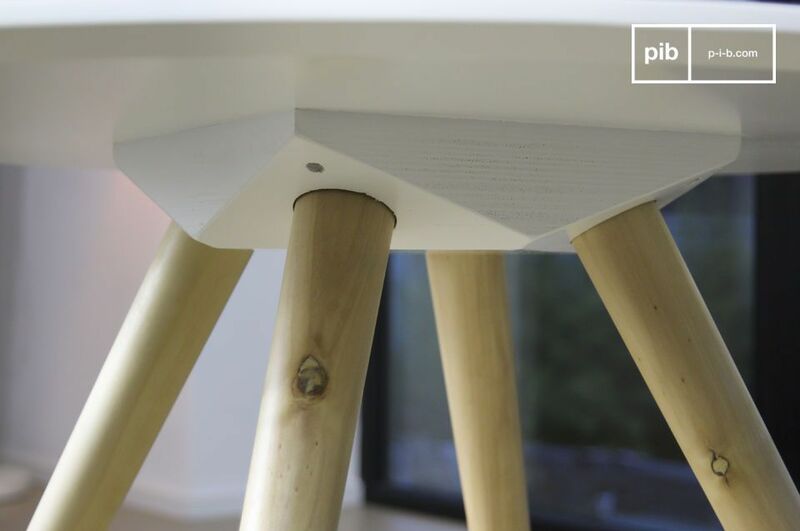 Under the table, an additional part in the shape of triangles supports the four legs of the table. 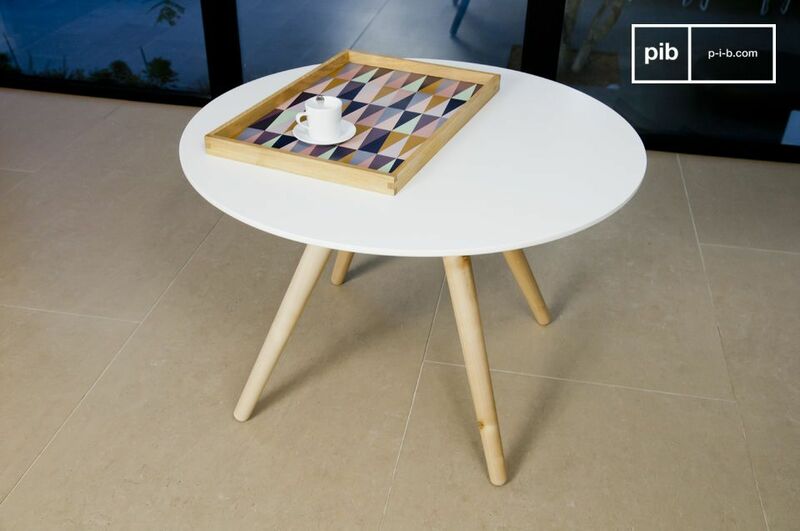 This base is entirely made of light solid wood, delicately varnished, to give a vintage look to this table. The combination of these two types of wood offers a particularly attractive contrast. Let the brightness of the Beel table enter your living room. You will appreciate its Nordic style and vintage spirit evevery day. 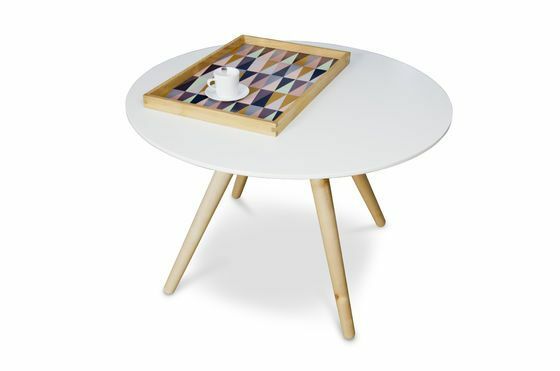 Recommend: in a living room, combine the Beel coffee table with the Beel coffee table for a bright 1950s atmosphere!